A recent report in The Guardian revealed a disturbing trend, which the Vance Center has investigated: in the last nine months, the US State Department has effectively halted cooperation with United Nations human rights “special procedures”, a network of human rights experts responsible for assessing global compliance with human rights standards. The Vance Center’s investigation revealed that, since the beginning of May 2018, the United States has received 17 requests for communication from UN experts, and replied to none of them. This 0% response rate compares with a 70% response rate during the last eight years of the Obama administration, and an 80% response rate during the first 15 months of the Trump administration. No explanation has been given for the seeming change in policy. 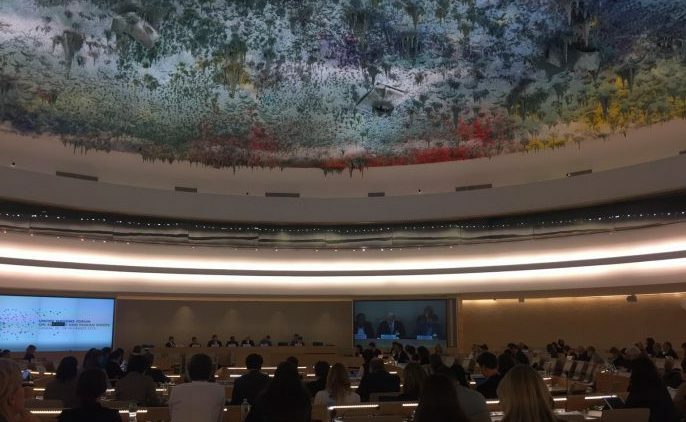 Several human rights organizations have spoken out against this apparent new policy of non-cooperation as a threat to the international system of human rights law. The ACLU has warned that the United States’ approach “sends a very dangerous message to other countries: that if you don’t cooperate with UN experts they will just go away”. Last week, a letter to Secretary of State Mike Pompeo organized by Freedom House and Amnesty International warned that “[t]he eventual result could be a breakdown of the international human rights architecture that the United States helped to create”. These dire warnings reflect the importance that UN experts play in making the international human rights system effective in practice. That system rests on a complex mix of UN and other treaties, resolutions, and institutions. There’s no central body responsible for enforcing human rights law, and monitoring state compliance is extremely difficult. In order to address these challenges, the United Nations has developed a system known as “special procedures”. Special procedures refers to a group of over 50 independent human rights experts, each responsible for a thematic area of human rights, or a particular country. These experts receive complaints from individuals and conduct country visits, bringing human rights violations to the attention of the international community. The system has proved impressively effective: Kofi Annan, the former United Nations Secretary-General, described it as the “crown jewel” of international human rights protection. Special procedure experts proved crucial in exposing the extent of human rights violations in countries such as Argentina, Chile, Iran, North Korea, and South Africa. Even in rights-respecting countries such as Canada and Spain, reports by United Nations experts have led to important human rights victories. Experts have also been responsible for advancing new international law and treaties in areas such as indigenous rights, environmental rights, and business and human rights. Several of these experts are current or former Vance Center clients. For example, the Vance Center has long provided advice to Juan Mendez, professor at American University’s Washington College of Law and the former UN Special Rapporteur on Torture. In 2016, the Vance Center helped Professor Mendez conduct the world’s first comprehensive comparative study on solitary confinement, a practice which Professor Mendez had found in most circumstances to be illegal under international law. A second phase of this study is underway. The Vance Center also has advised John Knox, professor at Wake Forest University and former Special Rapporteur on Human Rights and the Environment, and James Anaya, dean of the University of Colorado Law School and the former Special Rapporteur on the Rights of Indigenous Peoples. Other “special procedures” that the Vance Center has assisted focus on mercenaries, forced disappearances, and arbitrary detention. In many cases, special procedure experts have prompted governments to revisit and change their policies or practices, often in response to international pressure. A 2010 report by the Brookings Institution found that special procedures are “one of the most effective tools of the international human rights system”, and had directly led to the release of political prisoners, protection of migrants, and improvements in access to health in several countries. The United States has played an important role in advancing the special procedure system. Many special rapporteurs – including several Vance Center clients – have come from the United States. U.S. diplomats led efforts to establish experts to focus on nations of concern, such as Myanmar and Sudan. Furthermore, the United States pushed for the establishment of a specific expert to monitor global compliance with rights of assembly and association. In this way, the United States has been able to use the special procedures system to advance its international human rights priorities. The apparent change of policy by the current Administration removes an important source of accountability on the United States’ human rights record. It also undermines the UN human rights system as an effective, if imperfect, mechanism for shining a light on human rights violations. The 17 communications which the United States has ignored include many important issues, ranging from treatment of migrants to racial discrimination to chemical poisoning in Puerto Rico. The Administration’s new approach threatens the integrity of the entire system. When a global superpower such as the United States rejects human rights scrutiny, other countries are bound to follow. Autocrats hiding gross human rights violations are emboldened. If questioned, they can point to the United States’ own practice and claim that they are merely following America’s lead. The stonewalling of United Nations special procedure experts seems part of a wider move by the current Administration to undermine international institutions. This has included withdrawal from the United Nations Human Rights Council, as well as attacks on the International Criminal Court. Such moves are dangerous for US foreign policy, and dangerous for those living under repressive regimes.